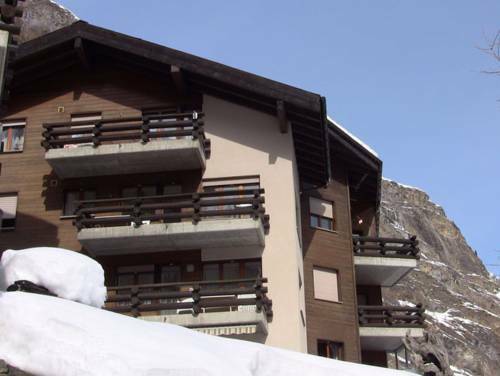 Holiday Home Gadi Zermatt is located in Zermatt. The accommodation will provide you a living room with a tv and a balcony.There is a full kitchen with a dishwasher, dinning table and oven. Two bedrooms with two single beds each one. 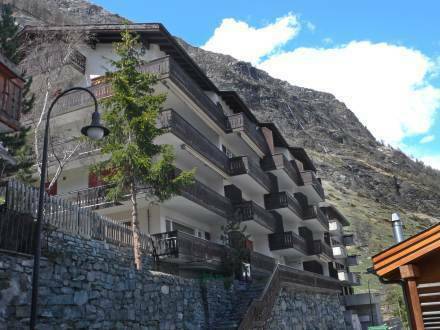 In a quiet location overlooking Zermatt, this spacious apartment is a 4-minute walk from the train station and 550 metres from the Gornergrat Station. It offers free Wi-Fi and a south-facing balcony. Nice small apartment house "Bodmen A". 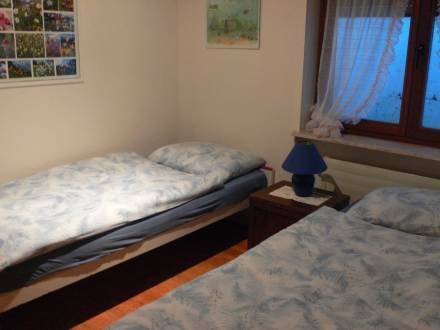 In the district of Bodmen 150 m from the centre of Zermatt, in a quiet, sunny, elevated position, in the countryside. For shared use: children's playground. Private: terrace (30 m2), garden furniture. 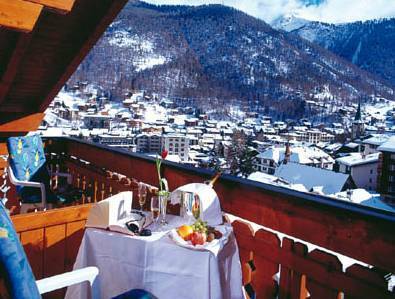 Apartment Haus Memory Zermatt is situated in the district of Trift, 400 m from the centre of Zermatt. The two-bedroom apartment on the 2nd floor will provide you with a living room including TV, radio and a DVD player. 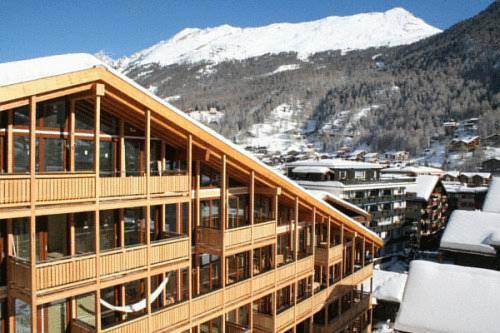 Milihaus A Zermatt is located in the district of Bodmen, 200 m from the centre of Zermatt, in a quiet, sunny position. 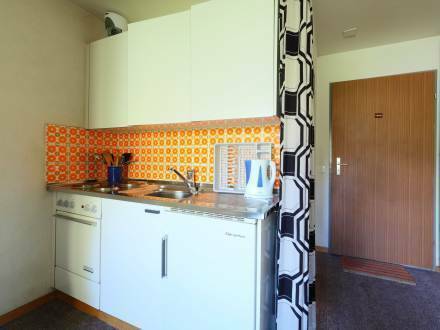 It is 25 m2, on the ground floor. It offers a living/dining room with 2 double fold-away beds (90 cm), cable-TV and radio. 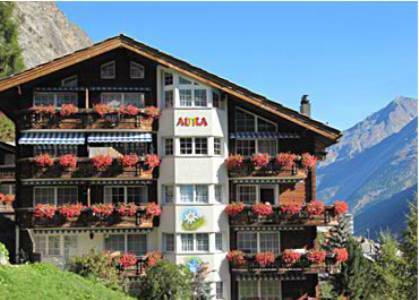 The Hotel Tschugge is very quietly located just off the main street of Zermatt, about a 4-minute walk from the train station, where also the Gornergrat cog railway and the ski bus depart. This stylish 108 m² apartment is located in the centre of Zermatt, 50 metres from the Bahnhofstrasse main street and 150 metres from the train station and the Gornergrat Cable Car. 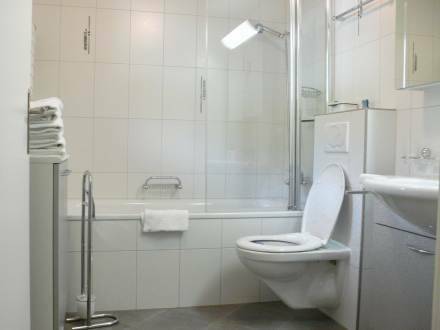 It boasts a generous, open-plan kitchen and offers free Wi-Fi. Offering views of the Dom, the Zayetta I consists of a simply furnished living and dining area with a sofa bed, cable TV and a kitchenette, 50 metres from the centre of Zermatt. Ski storage is available. 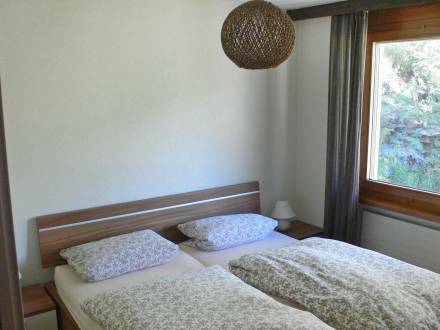 The Haus Aura enjoys a quiet, elevated location in Zermatt-Oberdorf, a 5-minute walk from the centre, the bus stop and the Klein-Matterhorn cable cars. All apartments have a mountain-view balcony. 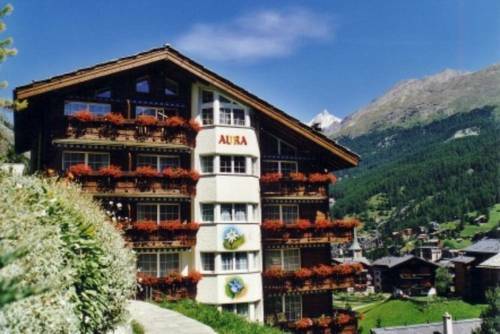 Located in Zermatt’s quiet area Oberdorf, Apartments Aura provides accommodation units with free Wi-Fi and a balcony or a terrace. The Klein Matterhorn Cable Car can be reached within a 5-minute walk.